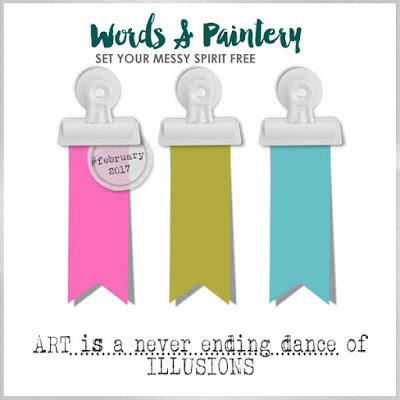 We have a new challenge up at the Words & Paintery blog - gorgeous spring colors and a quote that fit any of us crafters. I made this card using beautiful spring colored patterned papers from Green Cat Story, Chippies from Scrap FX and mists & paints from Tattered Angels. I layered the different patterned papers and added a bit of white gesso. Then applied Tattered Angels Glimmer Mist "Black Cherry", "Dragonfly" and "Eclectic Blue" both with a brush and splatters. When dry I added the Scrap FX chipboard (painted with white High Impact paint from Tattered Angels), flowers, micro beads, and pebble stones. 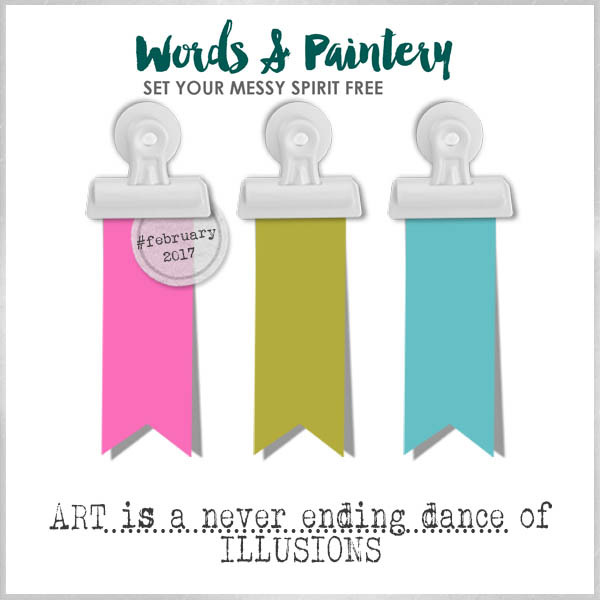 I´m looking forward to see your entry for this challenge - please visit here for details on how to enter and to view the teams great projects.